10 of the Most Original Cat Names We Came up With! When it comes to naming a pet, finding the perfect name can be tough. You’re going to want to choose something that accentuates their unique personality. You might also want to find a name that reminds you of the way that they look. There are plenty of ways to come up with a fantastic cat name, such as an online name generator. However, we recommend putting your mind to the test and trying to think of a fantastic one on your own. 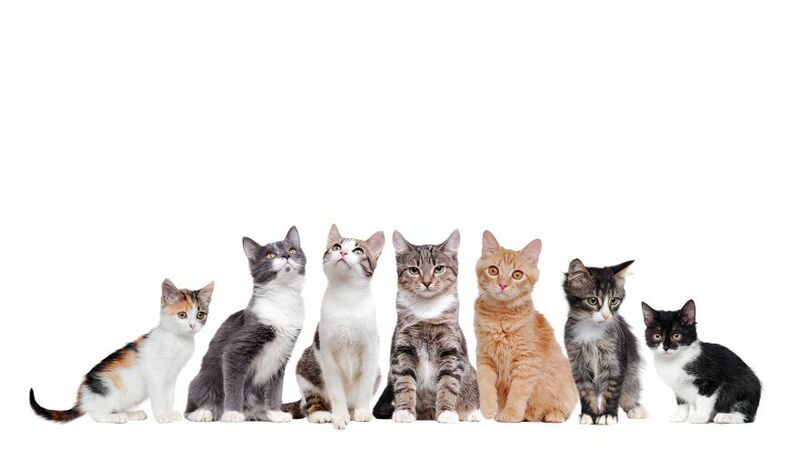 Below are 10 of our favorite cat names with meanings. Are you a fan of Disney movies? If so, there’s an endless number of names that you can choose from. We love the idea of Ariel because it’s equally as beautiful as it is easy to pronounce. If you have kids, you can bet that naming the cat after their favorite Disney Princess is a fantastic idea. Apart from Ariel, you can also decide on Jasmine, Cinderella (or Ella), Elsa, Anna, Mulan, and more. Is your cat the type of pet that loves to eat everything in sight? Cartman is a hilarious name that you can choose if you’re someone with a quirky personality. Also, if you’re a fan of South Park, this name is surely a no brainer. Cartman is known as a quite outright character that is quite insulting at times but equally as funny. It’s also a name that everyone in the family will be sure to remember and be proud of saying out loud. In fact, if you have new friends over, calling your cat’s name will be sure to turn heads. Cats are brilliant in their own right. They’re one of the more self-sufficient house animals that you can have at home, which is why we love Einstein. Known as one of the most influential personalities to ever exist, Einstein was responsible for plenty of discoveries and inventions. If you know that your cat is going to figure out how to slip into a room they shouldn’t be in, this is a phenomenal moniker. We also love the idea of the name for a pet that is incredibly inquisitive. The personality of cats is what makes them so unique over different types of pets. Made famous from a novel, the names Jekyll or Hyde could be the best way to accentuate your pet’s personality. Some days, your cat might be interested in being kind and hanging out with family. Whereas on other days, they might want to be on their own or might seem to be in a mood. You never know what personality your cat is going to take on that day, which is why these two names are a great idea. There are particular cat breeds that are known for their high levels of energy. If you want a pet that is going to be fun to play with, it’s likely that you have one of these breeds. Espresso is another funny name that you can give to a cat that never seems to settle down. It would also be a great idea for a cat that loves to play with toys and always seems to be chasing something around the house. A high-energy name for a high-energy cat, Espresso is one of our favorites on this list. Most of the names on this list are reminiscent of TV or movie characters, which is why we had to throw Mulder into the mix. Similar to Einstein, Mulder is an adorable name for a cat that is inquisitive. Best known as one of the most iconic television personalities to ever exist, Mulder always seemed to be on a quest to find out the truth. This is what makes it a great moniker for a cat that loves to explore and figure things out in their surrounding area. You might also want to take this name into account if your cat seems to always want to figure things out on their own. Especially if they have the tendency to ignore your commands and head down their own path. If your cat is the center of your universe and seemingly brings the family together, Buddha is a great title. It’s often that you can find pets that are loved and appreciated by everyone. You’re going to want to find the perfect name that accentuates their loving and caring nature. It can also be a great name for a pet that is calm and seems to always be by your side when you’re upset. Windsor is one of the names on this list that doesn’t have a specific meaning. However, we love the idea of naming your cat something luxurious and sophisticated. If your cat is a breed that is known for their beauty and confidence, Windsor is a fantastic choice to make. We also love the idea of Phoenix, Socrates, or even Cleopatra. Known mostly as the god of mischief, Loki is a name that is quite common amongst dogs. However, if you own a cat that is always up to no good, it can be a great name for them as well. It’s quite often that families own a pet that always seems to get into some type of trouble. Annisette is the type of name that you’d choose for a cat that has a specific appearance. Known as a black licorice flavored liqueur, Annisette is a unique name that you’ve likely never heard before. A great alternative is Kombucha, or Bucha for short, which can be adorable for a small kitten. When you first adopt your cat, you’ll want to choose a name that is memorable and reminiscent of who they are. With the thousands of names that you can choose from, settling on the right one can be quite the task. With the help of this guide, you can easily find a phenomenal name that your family and friends will love. It will also be the perfect way to capture the look and personality of your pet.